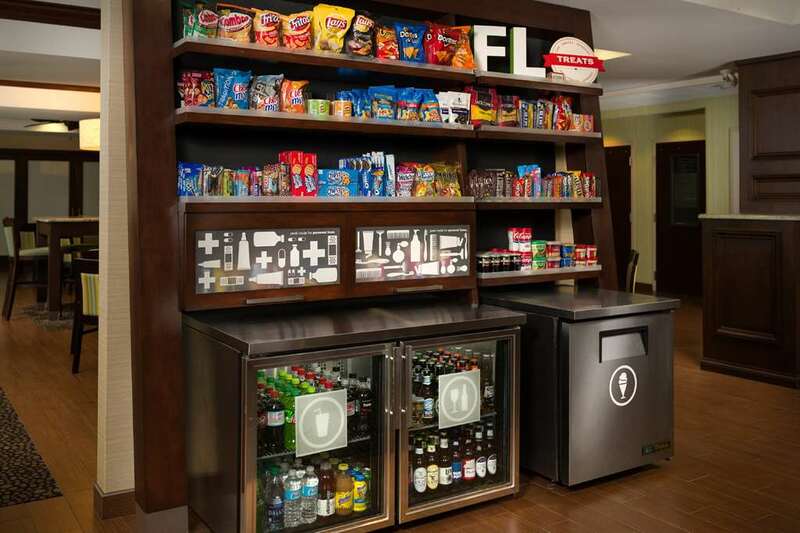 Located at the preferred end of the county the newest attraction to Titusville Florida is a high tech high rise interior corridor hotel that services the business and leisure traveler alike - The Hampton Inn Titusville/I-95 Kennedy Space Center FL hotel. Just off Interstate 95 and Highway 50 /Exit 215/ the Hampton Inn Titusville hotel in Titusville Florida is conveniently located just minutes from local businesses the Kennedy Space Center Port Canaveral Merritt Island Wildlife Refuge area beaches and waterways and the Orlando International Airport. The Hampton Inn hotel in Titusville Florida is a four story 86 room hotel offering King and Queen size beds high-speed internet access in-room coffeemakers irons and ironing boards and hair dryers. Other amenities of this Titusville Florida hotel include meeting facilities a business center a fitness center an outdoor pool and laundry facilities. Guests of the Hampton Inn hotel in Titusville Florida will also enjoy the complimentary On the House hot breakfast and the On the Run breakfast bags /available Monday-Friday/. All of this and the Hampton Inn 100 satisfaction guarantee. We love having you here at the Hampton Inn Titiusville/I-95 Kennedy Space Center hotel in Florida.